Tombola Bingo online are the current sponsors of Emmerdale, the very popular soap which is currently aired at 7pm every weeknight. As sponsors of Emmerdale viewers see Tombola Bingo bumper adverts at the start and of every commercial break. Tombola Bingo have always used real life bingo players from their online bingo site to star in their Emmerdale bumper ads and as they will be filming new adverts for this TV soap in the not so distant future, Tombola once again are looking for players to star in their next lot of bumper ads. So if you are a Tombola Bingo player and fancy a taste of the TV Limelight) here is how can enter the Tombola Bingo Emmerdale TV Bumper ad competition…………and as it is free to enter, we are sure that Tombola are going to get a lot of interest from their members. The TV ad competition will be kicking off at Tombola Bingo in February and to enter it you simply need to be a Tombola Bingo player and complete an application form and upload a photo of yourself. Tombola Bingo are looking for around 100 of their bingo players to attend the casting day which is set to take place in London on 26th February. Out of the 100, Tombola Bingo will shortlist just 25 finalists and they will all get their own spot on the Emmerdale TV bumper ads. This is a great opportunity for Tombola Bingo players who have always wanted to star on TV, but never thought that they would get the chance. There are no acting skills needed at all, as the casting day is all about Tombola Bingo meeting their players and having a bit of fun. Filming for the new Emmerdale Tombola Bingo TV Bumpers is due to take place between Sunday 27th and Thursday 31st March, so if you are thinking about entering this comp please make sure that you are available between these dates (or it would pretty much be a waste of time). 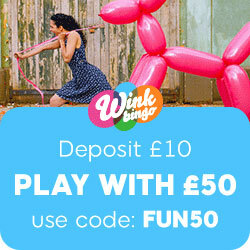 If you are not already a Tombola Bingo member and would like to enter their comp, just sign up with them now. This entry was posted in Bingo News and tagged Tombola Bingo on January 26, 2011 by Emma.